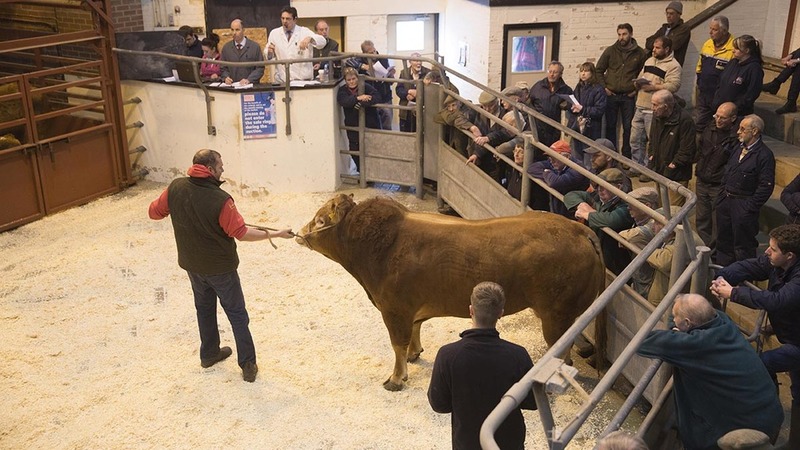 BREEDING cattle went under the hammer at Louth market, at the last of the spring special sales. A pedigree Limousin bull born in October 2015 from J.W. Fieldson, Corringham, topped the prices at £2,500. Top price cow and calf was from Cleasie Ward, Hundlesby, which sold for £1,450. Close behind at £1,430 was a 26-month-old heifer from with a calf from Kirsty McCaig, Skegness. 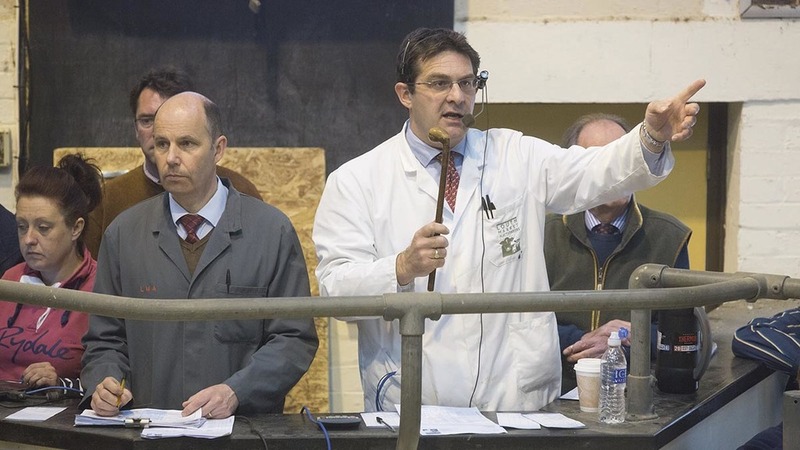 In-calf cow prices topped at £1,220, paid for a lot from S. Renshaw, Tetford, while B. Poucher and Son, Martin, sold a British Blue bulling heifer for the same money. In the store section, a Charolais cross steer from A.W. Clarke, Chapel St Leonards, came down at £1,100, and the best of the heifers was £925 for an exhibit from A.W. Turner and Son, Immingham. Top price per kilo was a heifer from Hoop Lane Farms, Apley, Lincoln, which sold for 274p/kg. Cows and calves, £1,173; in-calf cows, £1,069; bulling heifers, £1,088; store steers, £827; store heifers, £801. A TOTAL entry of 151 hoggs averaged £82.50/head, with SQQ qualifying lots levelling at 181.40p/kg. P. and J. Hoyes, Stallingborough, sold a pen weighing 46kg for £93/head (202p/kg), while P. and W. Collins, Caistor, sold a pen weighing 49kg for £90/head (184p/kg). Cull rams from G.W. 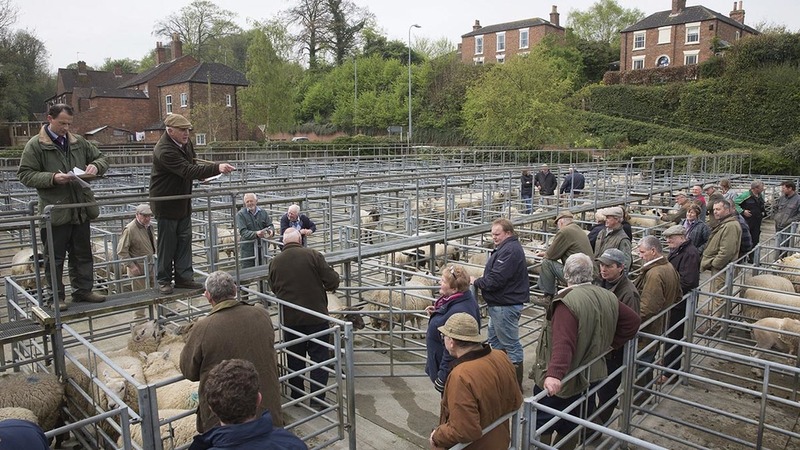 Allison, Thoresway, sold to £120/head, while ewes hit £94/head for a lot from the Chamberlain Brothers, Market Rasen.